Day 11 of the 12 Days of Giving Blog Hop. Window cut file. Hello. 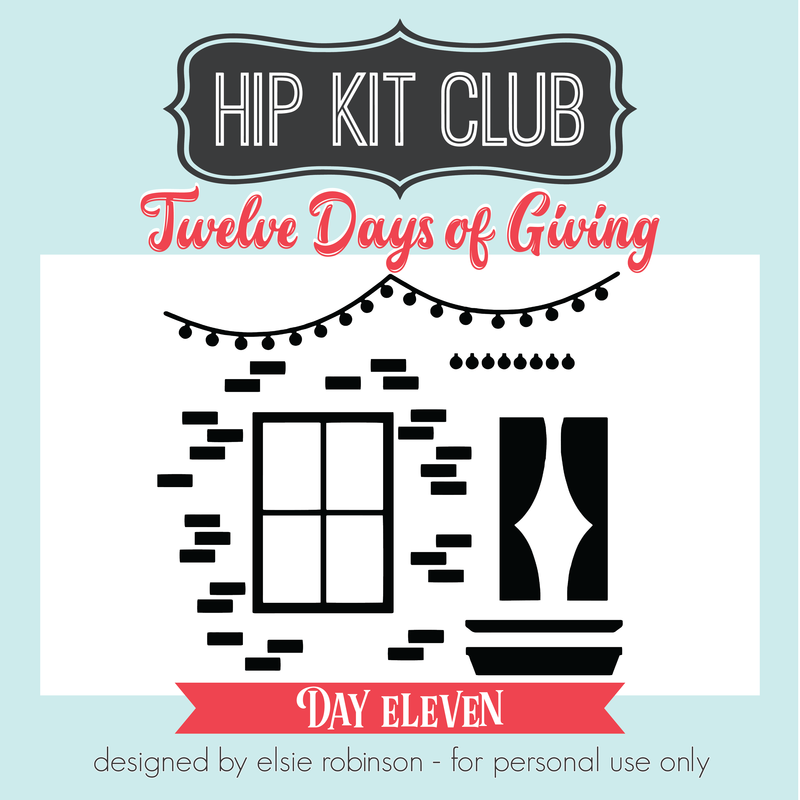 Welcome to Day 11 of Hip Kit Club 12 Days of Giving Blog Hop. Today we are giving you this gorgeous Window cut file designed by Elsie Robinson. Please follow this link back to the Hip Kit Club website. Login to your account & look for the ‘downloads’ tab. You will find a subheading ’12 Days of Giving’, where you will find all of our 12 Days of Giveaways. Please download them & enjoy! Happy Holidays from all of us here at Hip Kit Club. 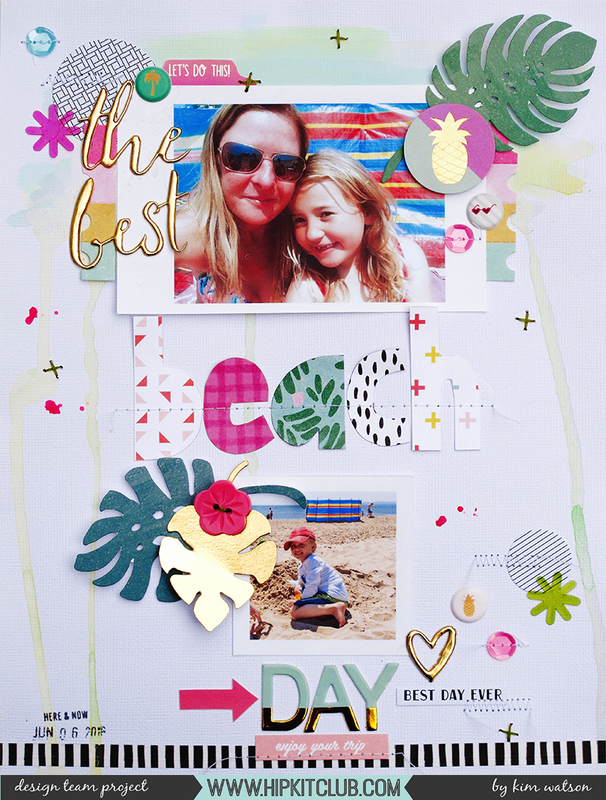 This is my contribution to this blog hop using this gorgeous cut file. 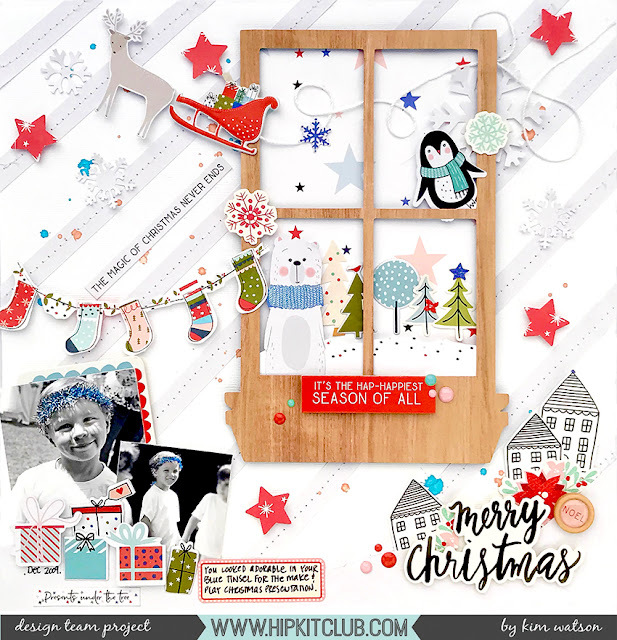 It uses our November 2017 Hip Kits perfect for Christmas projects. Here is a sneak peek of Elsie's layout. Follow this link to her blog to see the entire project. 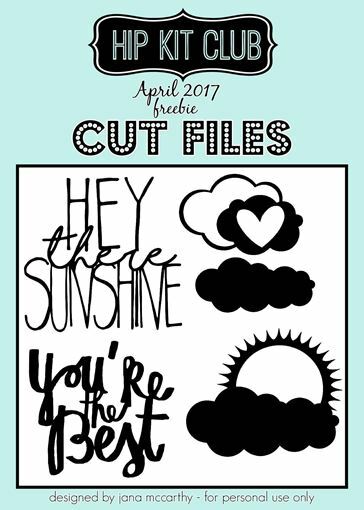 We hope you will hop along, and enjoy this free cut file! Please share what you create in our Facebook Member Forum! 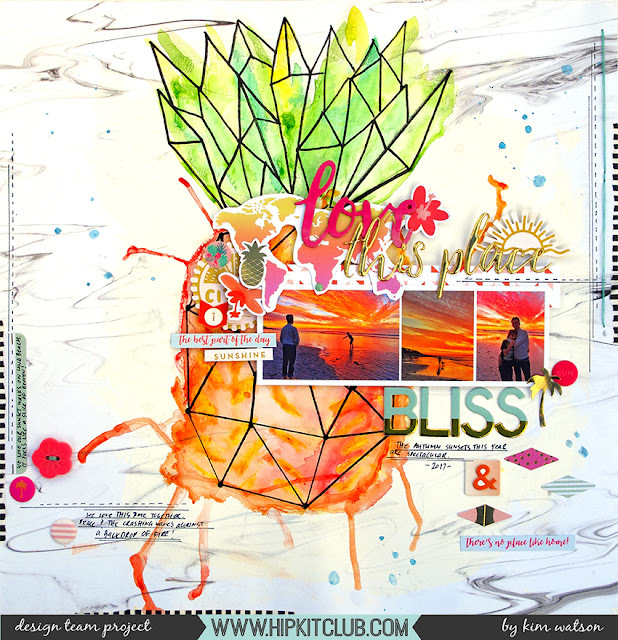 Use color to scrapbook your mood? So tell me…what is the color of your mood today? I love the psychology of Color. Like birth and taxes, there is no escaping color. It is ubiquitous. Yet what does it all mean? Why are people more relaxed in green rooms? Why do weightlifters do their best in blue gyms? There is something so mysterious about the way color tells a story without words. Why does a sunflower put a smile on your face? So when deciding on my page today…I decided I’d use YELLOW/ORANGE with GREEN ACCENTS but what does it all mean? Cheerful sunny yellow is an attention getter. While it is considered an optimistic color, people lose their tempers more often in yellow rooms (hahaha…no wonder my headmaster was always grumpy), and babies will cry more if surrounded by yellow. It is the most difficult color for the eye to take in, so it can be overpowering if overused. Yet…yellow enhances concentration, hence its use for legal pads. It also speeds metabolism…seriously…? Well then, yellow yoga togs for me for sure LOL! The dominant emotion I feel when I look at this page, remember the memory & look at my photo is ‘overwhelming happiness’!! I love our neighborhood, our beach, our sunsets, the peace in our home, the love we all share for each other. This page reminds me that yes, life is tough…but it is also good in so many ways. Pages like these are always good to have in your albums because they cause you to pause & be grateful. Using the AMAZING July 2017 Hip Kits made limiting my palette so easy. The kits are always so well thought out & even though they are built from elements from a variety of manufacturers, they coordinate, compliment & combine so well. Starting with bold swashes of Yellow Pasteez from Shimmerz Paints, I created my fun background. 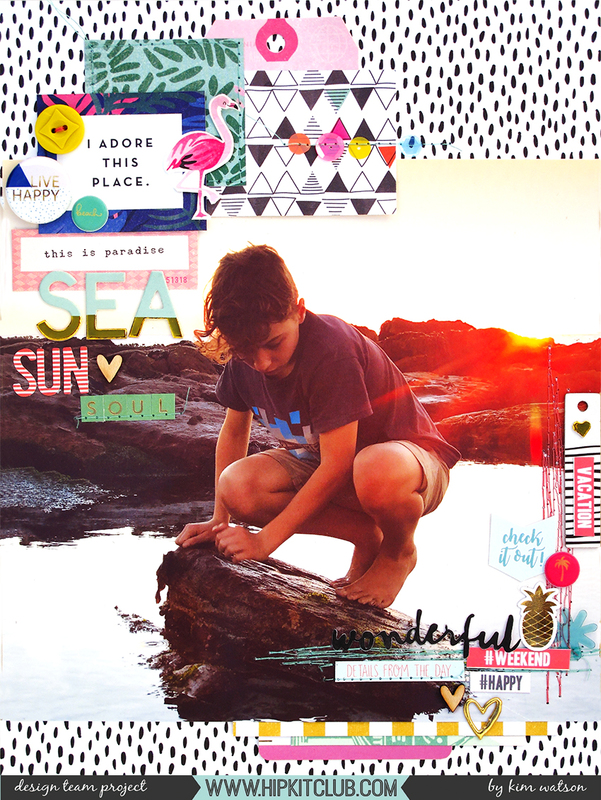 The exclusive chipboard I designed, found in the July 2017 embellishment kit has a mixture of frames, sentiments, shapes & tags which once combined with our exclusive puffy stickers, PL cards & patterned paper…create the most fun layered vibe. Adding the secondary colors green/teal brings a hint of coolness to the palette, which is just what one needs on layouts about sizzling summer days. Also the addition of graphic black & white patterns & accents brings contrast in the way of anchor points which can be so necessary when designing with a very tonal color palette. 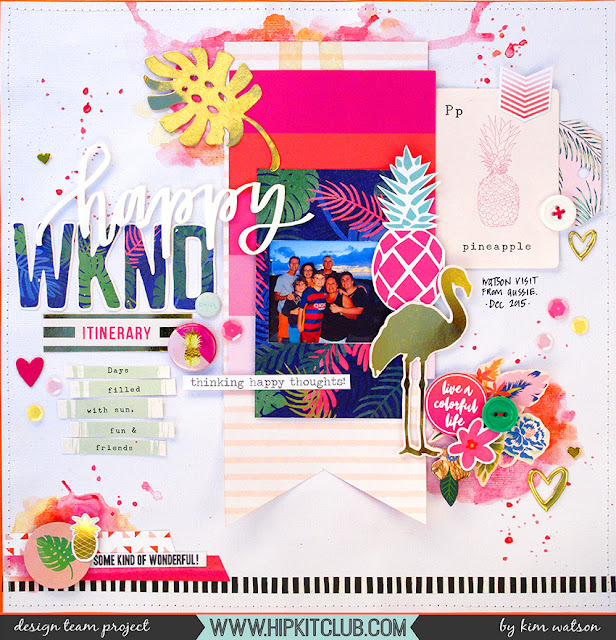 So I encourage you to grab a bunch of coordinating elements…layer them, pile them together into clusters, and scatter them across your page to create something similar to mine. I hope you have found this interesting? Remember if you join my ‘Color Yellow Challenge’, be sure to tag me in the Member Forum, I’d love to see your works of art. Thanks for the opportunity to inspire today! Hello Kim here, with a new project based on today’s theme: FRAMES. ‘Frame’ ephemera & die cuts are a big part of most manufactures collections these days & often I end up with a few left over at the end of each month, so I thought today I would find a fun way to use up a whole bunch on one page. This page YOLO Yeah! was so much fun to put together (I admit I had to look up what YOLO meant haha! )…I mean what’s not to love about the Pink Fresh Studio, Dream on products & Vicki Boutin Frame die cuts?? 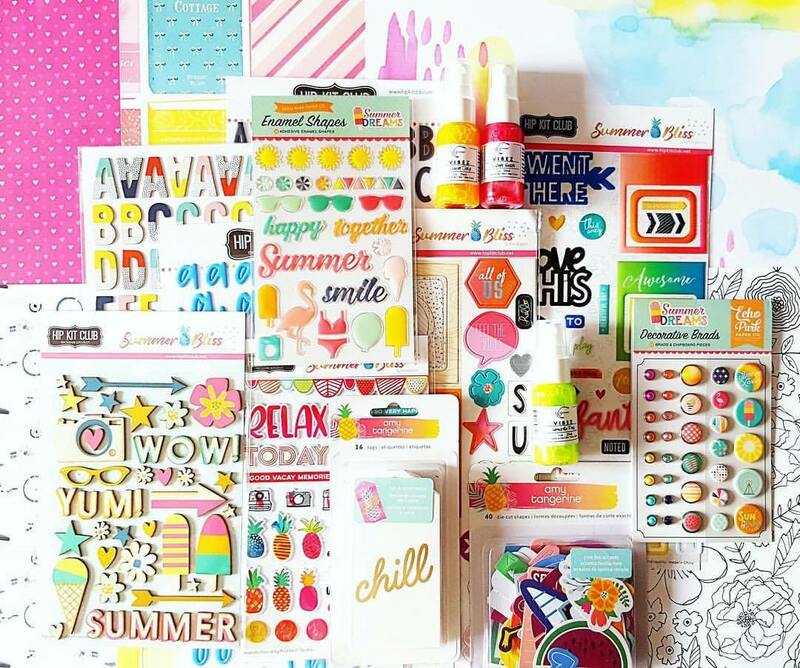 All found in the June 2017 Hip Kit Club kits! Ok…so the frames were the focal point of this page. I opted for a mixture of types & sizes…creating great layered interest. Some were filled with photos others embellishments. This allows the eye to travel around the page stopping on points of interest. Inspired by the great inspirational quotes included in the Pink Fresh Studio bits…I used them as not only points to mull over but also journaling. Keeping them in clusters, at three points within the design, muted their business. A design trick to note is, by ensuring they touch other elements, creates a feeling of association. Throughout the design, you will notice I used repetition for better unity within the page. Adding height to the different frames with foam adhesive creates shadows and overall interest; this dimension helps one differentiate between the various photos. The photo below clearly shows you what I mean. So I urge you to decide on a color palette, grab a variety of frames with different patterns within that palette & play. 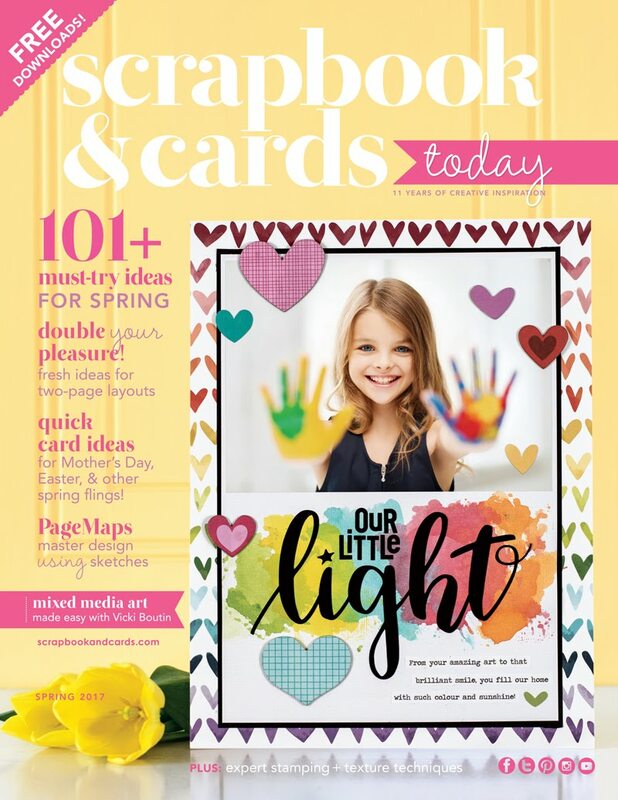 Fill some with photos, others embellishments & others journaling. The symmetry they bring, help inject order into a busy accent heavy page with great results! I am glad you stopped by! Thank you! Celebrating with Queen & Co! And a gift, just for you! 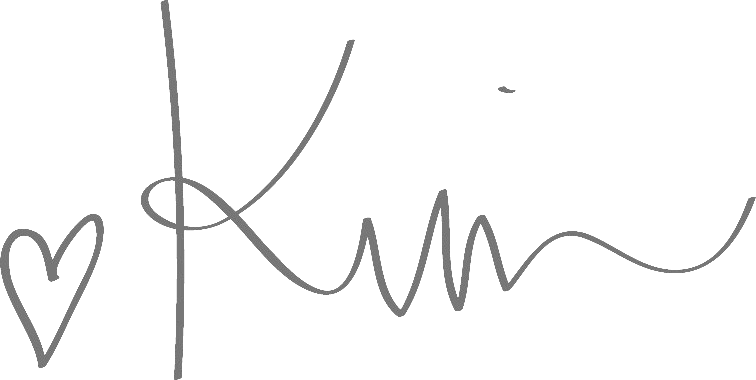 Hello Queen & Co friends, Kim here. 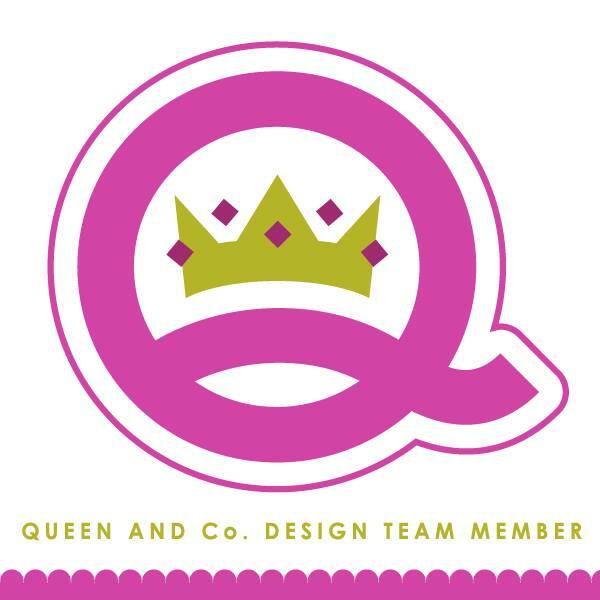 I am excited to share my latest project for Queen & Company. Inspired by the FABULOUS Pretty Presents kit, I decided to capture the happy moment of my little friend Callan getting ready to blow the candles out on her birthday cake. These dies, papers & toppers were tailor made for this page. ​Using my Silhouette Cameo, I die-cut a pie chart, reason being is I wanted to use a pretty variety of patterned papers from the Pretty Presents 6x6 paper pad. The pie chart allowed me to use eight different pattern papers...the perfect way to create a colorful mat for my photo. The sweet gift dies made the perfect accents for this page. To make them less busy on an already busy page, I made sure to make them mono tone in color: Pink, yellow, orange & green. To create the 'open me tag' I trimmed down one of the larger stamps. The title is made up of a combination of three of the stamps that came in the Pretty Presents kit. 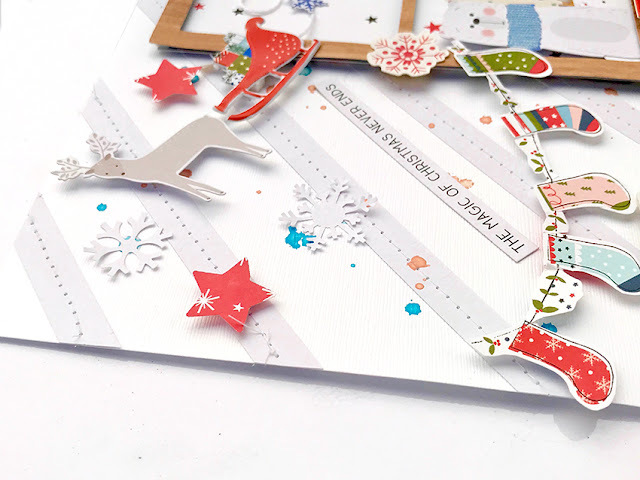 By stamping them in different colors onto flag shapes, then attaching them to a striped drinking straw, I not only made a fun unique title but also a festive page accent. Patterned paper circles folded in half and placed along the top of the page with turquoise bakers twine, not onto adds a ceiling to the page but really gives one the feeling of a celebration! To make the page extra special I selected a mixture of pretty bling bits to co-ordinate with the patterned papers in each segment. The result is super fun, colorful & festive....Callan can't wait to have her page, in a frame, in her bedroom. If you like cut files, I have a gift for you today. Enjoy, for your personal use. 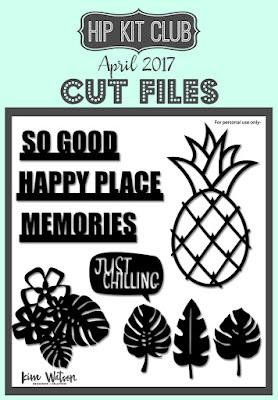 Go to our website HERE to download this fabulous FREE cut file! I​ am so glad you stopped by, I am so happy to be given the opportunity to inspire you. My latest Process Video for Hip Kit Club! 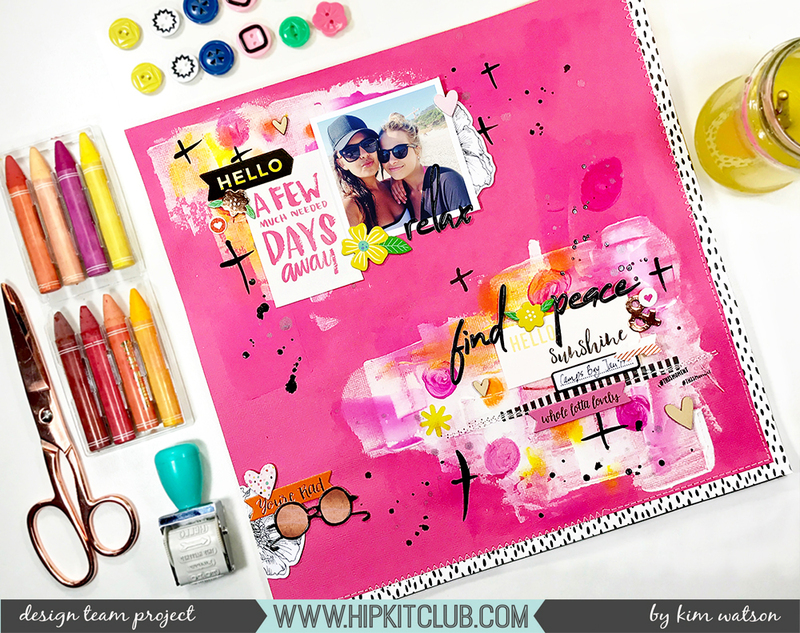 July Hip Kit Club exclusives products are in DA house! PINCH ME SOMEONE!! The #july2017 Hip Kit Club kits are in da house!! LOOK 👀 at how fabulous my exclusives turned out. The April kits from Hip Kit Club were so inspiring & had all the elements needed to capture the start of a gorgeous summer!! There are a few April kits still available...do yourself a favor & grab one whilst you can!